Everyone knows that in Barcelona there are a lot of interesting things to visit. From Midtown Luxury Apartments we want to make a selection of the 6 essential monuments. Discover with us these incredible places that will leave you amazed. 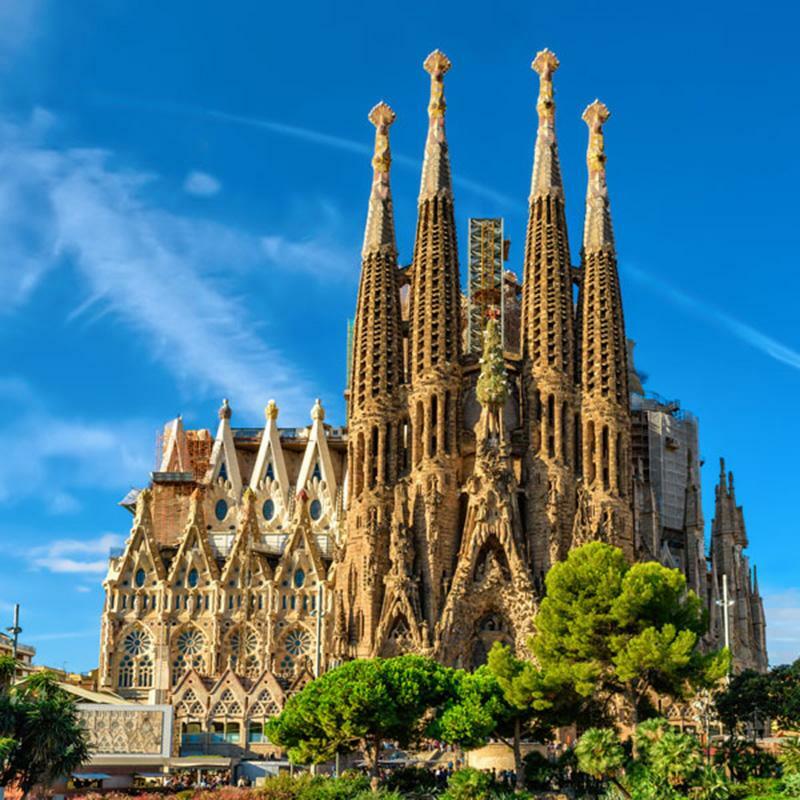 The Sagrada Familia is one of the most visited monuments in Spain. It is a Catholic basilica, which was designed by the architect Antoni Gaudí. Its construction began in 1882 and today, it is still under construction. It is considered to be the greatest exponent of Catalan modernist architecture. The entrance to this beautiful building is paid, there are different types of entrances, the cheapest are 15€ and the most expensive 29€. You can find all the information on the web. 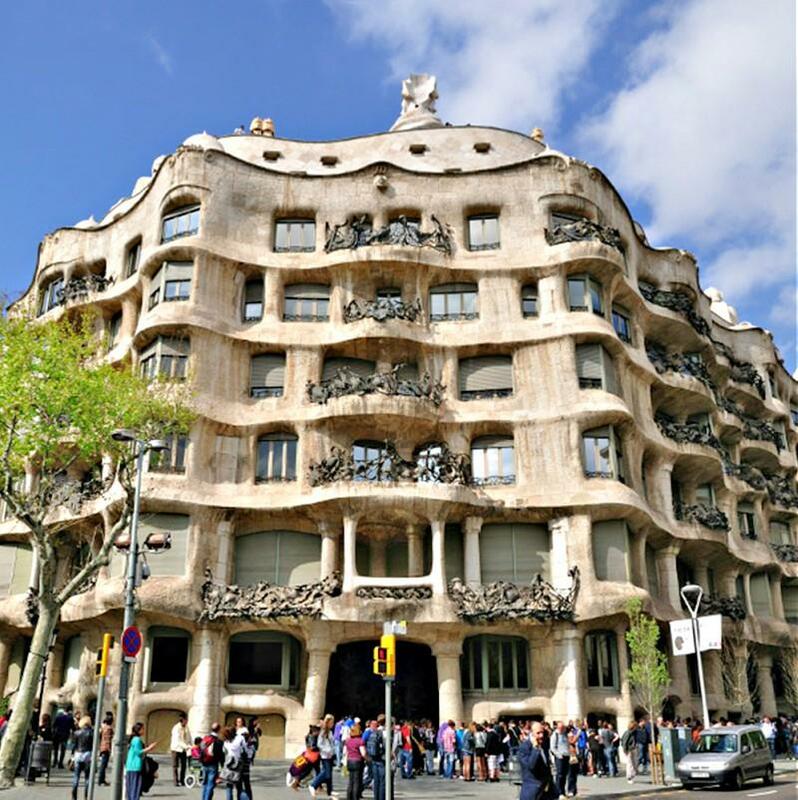 The Casa Milà, better known as La Pedrera, is a building built between 1906 and 1012 by the architect Antoni Gaudí. This emblematic monument was declared a UNESCO World Heritage Site in 1984. It is very interesting to visit, it radiates creativity and originality. In addition, there are always exhibitions and activities for the whole family that promote culture and art. To find out more about La Pedrera you can visit their website. The Arc de Triomf in Barcelona is located in Passeig de Lluís Companys. 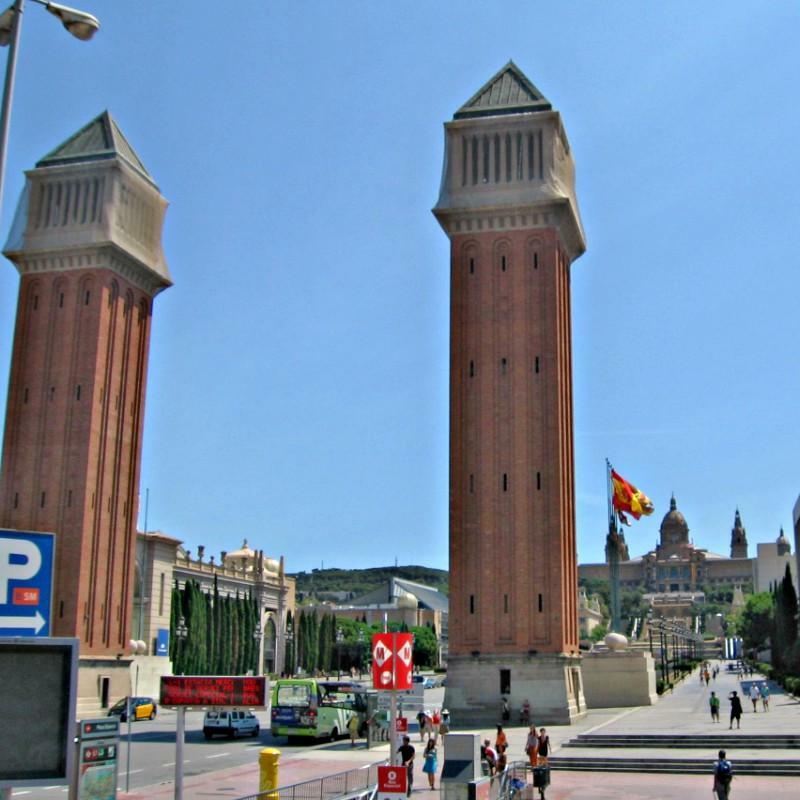 This monument was designed by the architect Josep Vilaseca, as the main entrance to the Universal Exhibition of Barcelona in 1888. It is a work that aims to show Barcelona's respect for the nations participating in the Exhibition. 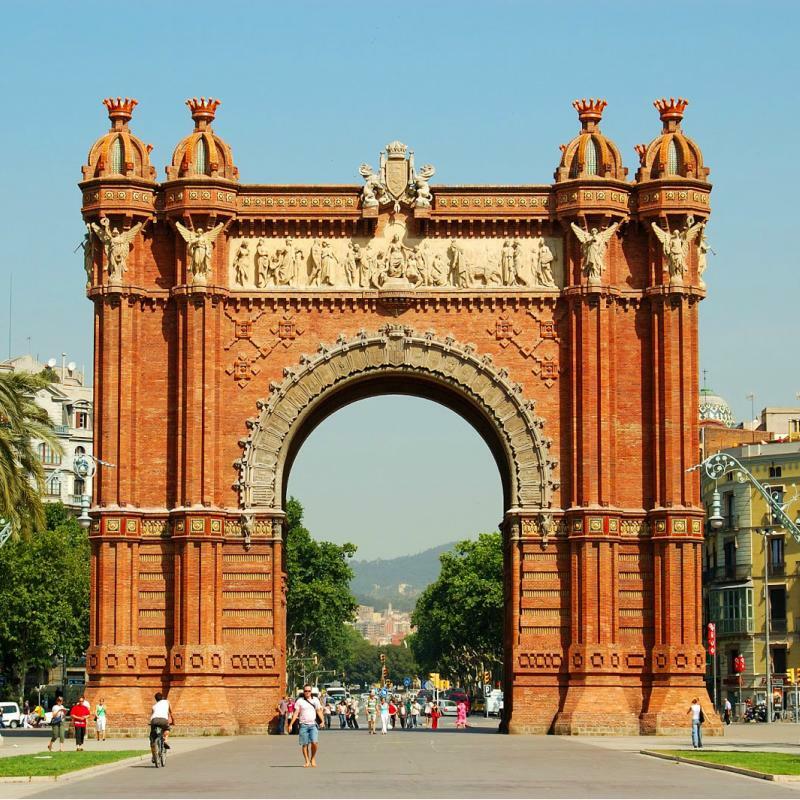 The arc de triomf has been used as a target for some popular races, and has also been used as a venue for festivals and musical events. For more information click here. The Venetian Towers are located on Avenida de la Reina Maria Cristina. They were built as access to the 1929 Barcelona International Exposition, and now they do the same with Fira Barcelona's Montjuïc site. They are registered as a Cultural Asset of Local Interest in the Inventory of the Architectural Heritage of Catalonia. Unfortunately, it is not possible to visit the interior on a regular basis. They are only opened to the public in a very punctual way, normally during the celebration of the Festival of Architecture of Barcelona. If you want to know more about the Venetian Towers, you can consult this page. The Casa Batlló is another of the modernist buildings by the architect Antoni Gaudí. 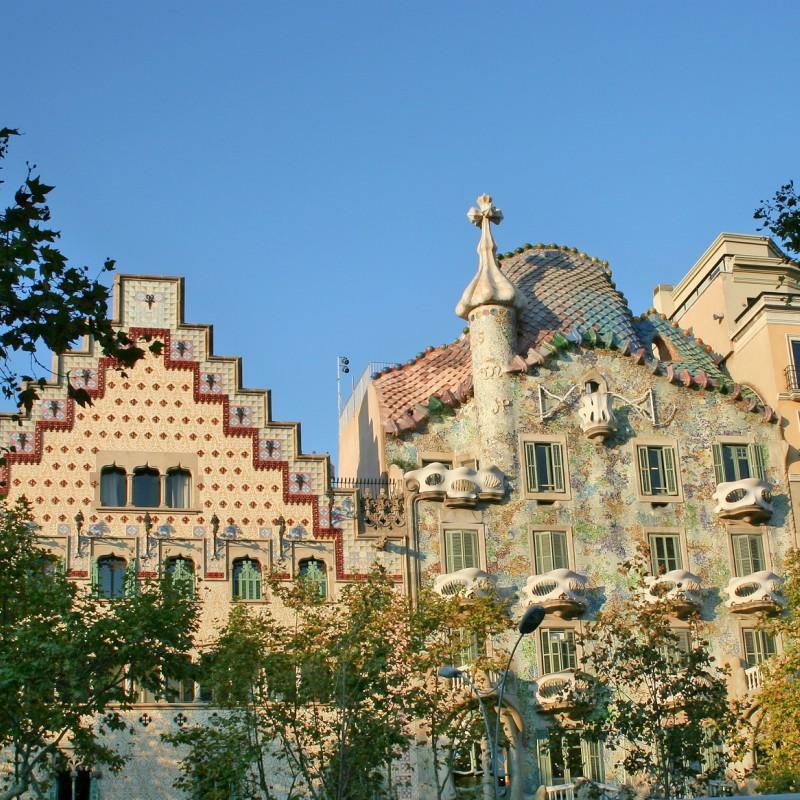 It is located in Passeig de Gràcia and is one of the buildings you can not miss if you come to Barcelona. If you want to visit the interior of the Casa Batlló, you must pay a ticket, the prices range between 15 and 36 € depending on age and the type of visit you do. This building will amaze you, both for its exterior and its beautiful interior. For more information visit their website. 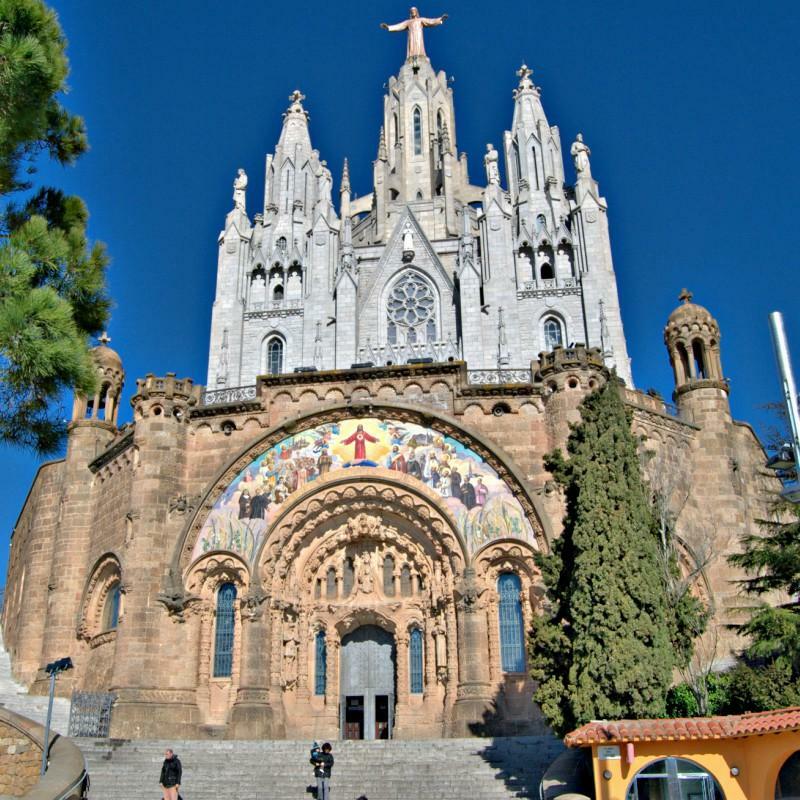 The Tibidabo Temple, also known as the Expiatory Temple of the Sacred Heart of Jesus, is a church located on the Tibidabo mountain. It was the work of Enric Sagnier and was completed by his son Josep Maria Sagnier, its construction lasted from 1902 to 1961. This temple is inscribed as a Cultural Asset of Local Interest. It is open from Monday to Sunday from 11:00 to 19:00 with free entrance, although if you want to access the terrace you must pay 3.5€. For more information, you can consult their website.